Have you fallen in love with all things unicorn? 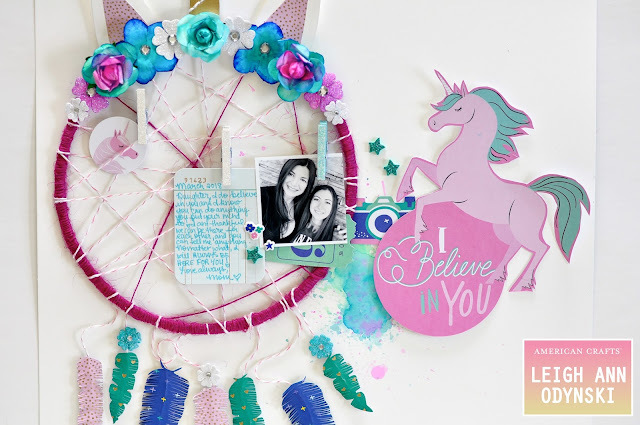 Here is a new American Crafts Design Team scrapbook layout with a unicorn dreamcatcher and hand-cut feathers too! Watch the process video below to see just how this page came together.